The Sigvaris Athletic Recovery Sock complements our vein practice by providing our active vein patients with an alternative to traditional vein compression stockings. We wanted our pricing to be very competitive with the internet. The mark-up is minimal. Shipping is about $10. These can be worn as running socks. Using this chart, you can see size equivalent measurements. For example Women's Size B is equivalent to Men's Size A.
Dr. Calvin Lee and Dr. Tammy Wu, who enjoy running when they have time. after a 5 mile race. 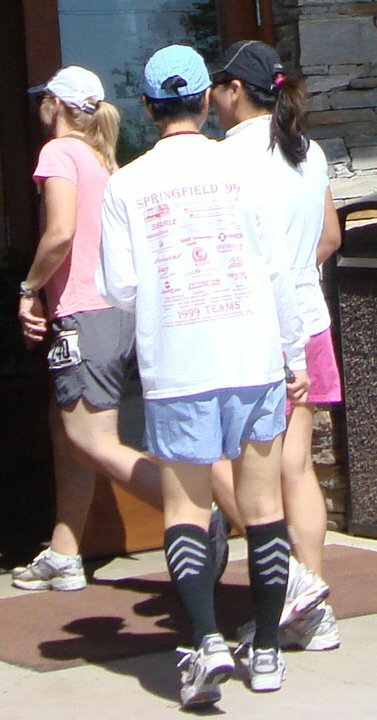 Athletic Recovery Sox. I was spelling running sox wrong for the longest time. We carry many Sigvaris and CEP products in our office (Modesto Plastic Surgery with Dr. Tammy Wu). Located next to the post office on Sylvan Ave, Modesto, California. CEP socks are made by Medi. 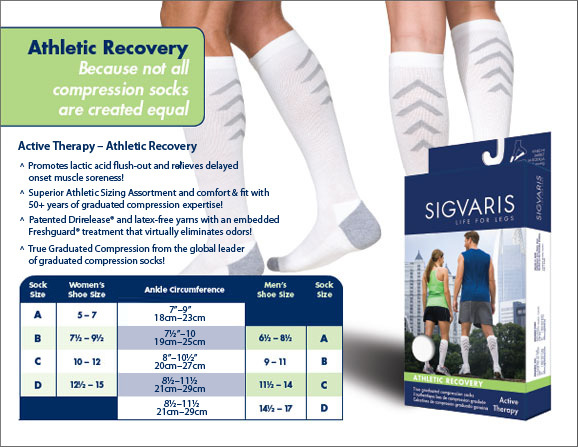 Surgical Artistry carries CEP running socks and Sigvaris recovery socks. We feel that they are both great products which come from a strong medical background in compression stockings therapy for varicose veins, lymphedema, swelling, and some types of diabetic foot pathologies. Modesto CEP sock pricing at our office is $49.95 + tax. Most internet places we've seen are around $60. CEP stands for Compression Enhanced Performance. email staff [at] surgerytoday.com, (209) 551-1888.